Agencies will have until August 11 to name a senior officer to coordinate fresh efforts to better manage and dispose of excess government property, according to a Thursday memo from White House budget director Mick Mulvaney. The directive also details the expanded duties of agencies to improve property management as called for in the legislation signed by President Obama in December 2016, which capped years of to-and-fro between Congress and the Office of Management and Budget over who sets priorities in the quest to reduce the government’s real estate footprint. The memo arrived a day after the General Services Administration—long the key player in real property management—published a new digital map of the government’s centralized inventory of real property from fiscal 2017 for all agencies. “The interactive map also includes improved search and filter capabilities that make it easier to view and assess the federal government’s real property holdings,” the agency said in a release. 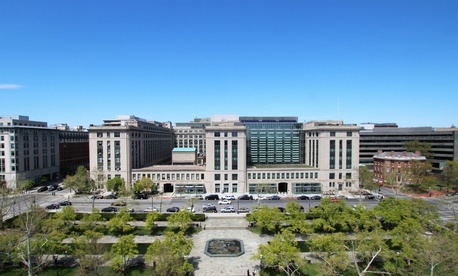 “Enhancing the quality and usability of the federal government’s real property data will boost transparency, help better utilize government assets and make it easier to identify properties for disposal,” said GSA Administrator Emily Murphy.